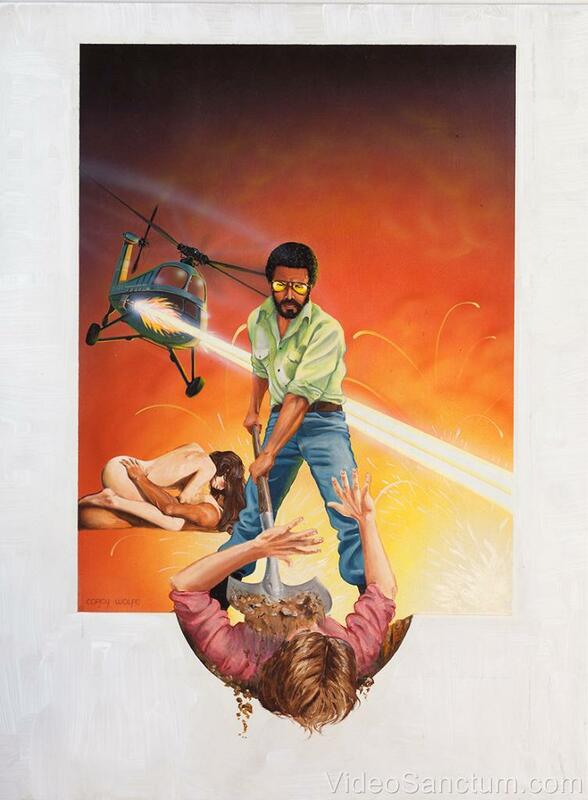 Extremely rare, one-of-a-kind original artwork commissioned for Imperial Entertainment's release of Witchtrap (1989). Witchtrap stars James W. Quinn and Linnea Quigley. Two parapsychologists attempt to excise an evil witch's ghost from a haunted inn. Classic '80s satanic horror. This artwork was used for the cover and promo materials for Imperial Entertainment's release. While fans of the film will most certainly enjoy the artwork, it also serves as a stand alone decor item with a dramatic mixture of dark colors and a prominent pentagram displayed at center. Measuring 30-in. by 40-in., this particular piece dominates in comparison with similar cover artwork used for the VHS market. Certainly, this item is not for the more conservative film fans but would truly make a genuine conversation piece. 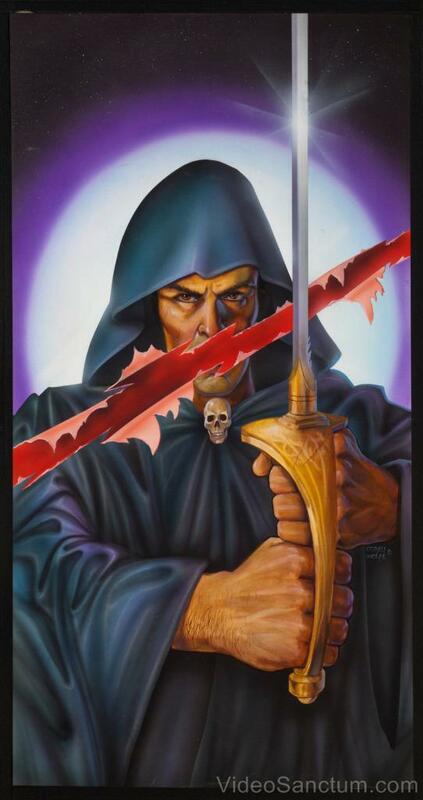 This original artwork was produced by the legendary horror cover designer, Corey Wolfe. This items comes with an unused promo sheet that was provided to the artist as a "print proof." One black-and-white, pre-paint sketch (measures 10-in. by 11-in.). Double sided detail treatment (measures 15-in. by 17-in.). Features sketchwork for painting detail by artist. All of these items originated from Corey Wolfe's private collection.